Why has the Sun’s behavior become so erratic? And why is NASA not talking about it? More than any other major co-factor, the unprecedented, meteoric and relentless changes taking place throughout Planet Earth are the direct result of exceedingly powerful influences emanating from the presiding star of our solar system. The Sun, and especially its recent and extraordinary activity, is at the very heart of every major geophysical and meteorological event taking place around the globe today. Were common sense to be utilized more frequently, it would seem readily apparent that global climate change (GCC) is directly the result of the Sun’s influence on every aspect of the earth’s geological architecture and biosphere. It is because of this lack of understanding that the conventional wisdom tried to attribute GCC to human activity. That’s not to say that human activity has not had its own significant impact on the obvious global warming that has taken place over the past few decades. However, their first attempt was to say that all global warming was primarily due to the outworking of all human endeavor around the planet. Quite inconceivable, since such an extreme correlation within a purely scientific and empirical context makes no sense. However, on the level of consciousness, there is very good reason to link human conduct with earth reactions with solar blowback, as we shall see. This ongoing GCC discourse becomes even more complicated when we consider what is occurring in the aggregate concerning world weather patterns. What on earth could possibly be causing all the regional droughts, regional deluges, regional freezes, regional snowfalls where it rarely snows, regional floods, regional tornado swarms, regional hurricane/cyclone activity, etc.? We also see the polar ice caps melting, glaciers disappearing, massive icebergs breaking off with greater frequency, and sea levels rising as small islands literally disappear. Another major planetary drama tied directly into this unfolding solar system-wide scenario are all the seismological and volcanic events. Between the ever-increasing uptick in earthquakes and the volumes of volcanic ash which now permeate the atmosphere, we see that Mother Earth is rocking and rolling like never before. Perhaps it is what is occurring undersea that has held many of us armchair geologists and meteorologists the most spellbound, however. The dramatic increase in the number of undersea volcanoes, earthquakes, mud domes and mud volcanoes, natural oil and gas seeps, as well as hydrothermal vent releases and new hot vent discoveries, throughout the oceans cannot be ignored any longer. Truly, this is The Greatest Show on Earth happening in real time that the scientific intelligentsia refuses to acknowledge. Therefore, we do need to understand how all of the geological changes throughout the Pacific Ring of Fire are contributing to the newly emerging patterns being tracked virtually everywhere around the globe, just as the undersea developments throughout the Pacific have been driving existing weather patterns for many decades. It’s the SUN that’s really mediating most of the planetary change which we see all about us! It really is. Why, then, do so many in the scientific community refuse to talk about it? Answer: Because they know that they have no control over it. They do have control over a manufactured debate around Global Warming caused by human activity. They can even create a carbon credit system with which to generate even more revenue to fund their various schemes to enhance the existing control matrix. Toward that end who is not aware of their carbon footprint these days, as we should be, because ultimately all of these weighty matters facing humankind do derive from our relationship with Mother Earth, as well as with our luminary Granddaddy – Sol (aka the Sun). These many newly introduced memes* are simply the Earth’s way of getting us with the program. Now many will say it’s the controllers who foist these schemes and memes on us. And that’s true. But it’s time to look beyond TPTW and recognize that even they are utilized to deliver urgent messages from time to time. Anyone, at anytime, can be used by the Universe as a messenger, particularly when the time is ripe, as it is now. *Global warming, carbon footprint, carbon credit, emissions trading, greenhouse effect are carefully constructed memes of the New Millennium. What we are about to propose is that, while the Sun is irrefutably the prime mover for changes taking place here on our blue orb, it is our relationship to both our home planet and the Sun which ultimately determines solar behavior. The two – Sun and Earth – are obviously inextricably interconnected, as the human race is to both of them. Solar activity, which manifests as solar flares (aka CMEs or coronal mass ejections), sunspots, geomagnetic storms, solar winds, magnetic pole reversals, plasma blasts, electromagnetic fluxuations across the surface of the Sun, etc. can trigger any abrupt earth change or gradual planetary flux. For those who disbelieve, just navigate over to the highest integrity sites dedicated to sun-gazing or even go to NASA SOHO (Solar and Heliospheric Observatory) and you will quickly see the many obvious correlations between cataclysmic earth events and solar events. Incidentally, many of these may be time delayed; nevertheless, their root causes will be found in a solar shift or happening. Here’s an example of a recent, extraordinary solar event that has yet to be satisfactorily identified or sufficiently explained in the mainstream media? 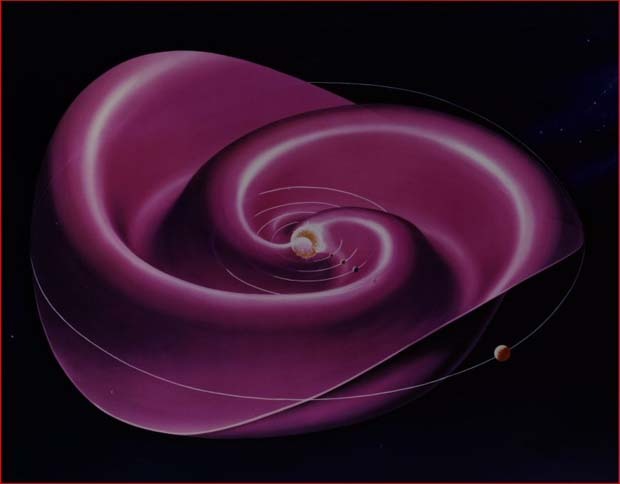 In this National Geographic article entitled Earth’s Core Spins Faster Than Surface, Study Confirms the most significant finding was that “waves passing through the inner core [of the earth] from a 2003 event arrived one-tenth of a second faster than those from a nearly identical 1993 event.” The repercussions of such a development, over a mere 10 year period, are being felt and seen all around us. Especially in the ocean depths, which are closer to Earth’s core and in very close proximity to the mantle, are observations being made daily by those who monitor this developing situation. What’s the point of this discussion? The Sun is quite conspicuously going through a major transformation never seen before or catalogued in the various annals of recorded history. Therefore, our planet will experience the effects, and consequences, of these upcoming changes. “When the Sun sneezes, the Earth comes down with pneumonia.” Who among us would doubt such a self-evident statement? In their article entitled Plasma: The other 99.9%, thunderbolts.info presents a view of the material universe that poses an extremely important question to scientists across many interrelated disciplines including astrophysics, quantum physics, nuclear physics, astronomy, geology, cosmology, among many others. The answer to this question is quite significant for any researcher investigating the current behavior of the Sun, and especially how solar activity will affect planet Earth. We don’t pretend to understand all of the complexities and nuances associated with authoritatively advanced theories about “The Electric Universe”. 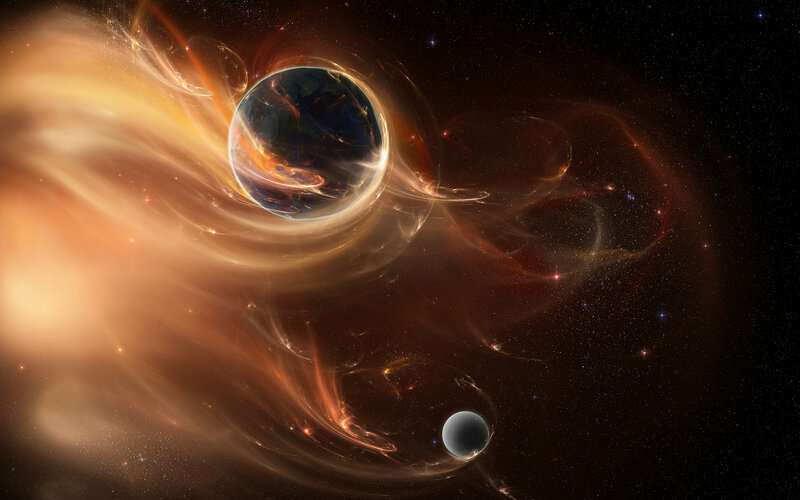 We do however fully understand that a universe dominated by plasma and electricity will behave radically different from one dominated by gravity and gravitational fields. Furthermore, we understand the import of the following statements when attempting to explain the effects of various solar phenomena on the earth plane. Although they do not attempt to explain the true foundational substratum of the cosmos, Plasma Predominance and the Electric Universe Theory do pose a critical perspective and new lens through which we can watch the Sun, and see how it interacts with the Earth. Rather than further explore the arcane and esoteric science undergirding this wonderfully elegant and holistic theory, we offer the following “musical” interpretation of just what might be happening during this “great dance going on” within our solar system. Most are completely unaware; nevertheless, the Sun and the Earth do participate in a very carefully choreographed dance with each other. Think of what might happen if this were not so? Such an intimate relationship is essential for maintaining the requisite balance for human life to exist in relative comfort. 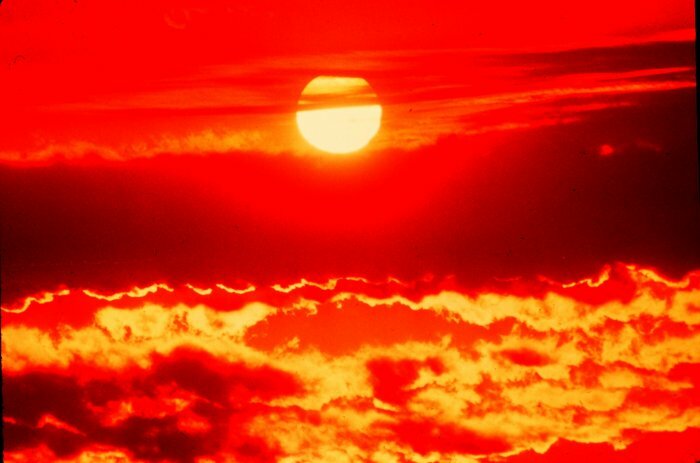 Unfortunately when that comfort is squandered, or abused, both Earth and Sun act in a coordinated manner to send humanity a wake-up call. The only problem with the current arrangement is that we have yet to receive that necessary message from the intermediary. Those who control the flow of information from the observatories and astronomers and astrophysicists and geologists have sufficiently choked off the vital data. Whereas the Sun itself is deeply affected by the predicament of Terra (another name for Earth), and Terra is profoundly affected by what earthlings do, it has become progressively urgent for Sol to take some remedial actions. 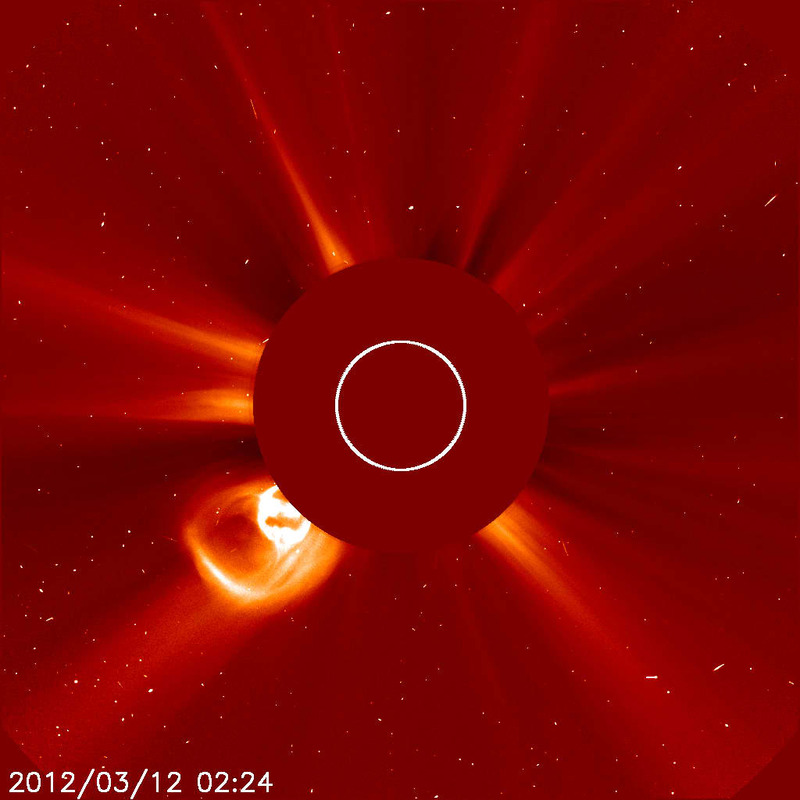 So, the Sun has been compelled to ramp up its solar activity such that the Earth’s core is now being reprogrammed. As previously mentioned, the Earth’s core is profoundly affected by the Sun and its activity. This core relationship is at the heart of the HUGE Earth changes experienced by all residents of the planet. The way this relationship works is really very simple. And it begins with the conduct of the human beings who inhabit the surface. When we as a planetary civilization are out of sorts with each other, we then become out of sync with Mother Earth. Wherever this situation is not remedied it establishes a new groove, if you will. The longer we stay in that groove, the longer the dissonance interrupts the normal music of the spheres which is usually performed in beautiful harmony. Now it is easy to see that when the Earth is not in tune because of cacophonous frequencies emanating from Her biosphere, the Sun will respond to Her plight. 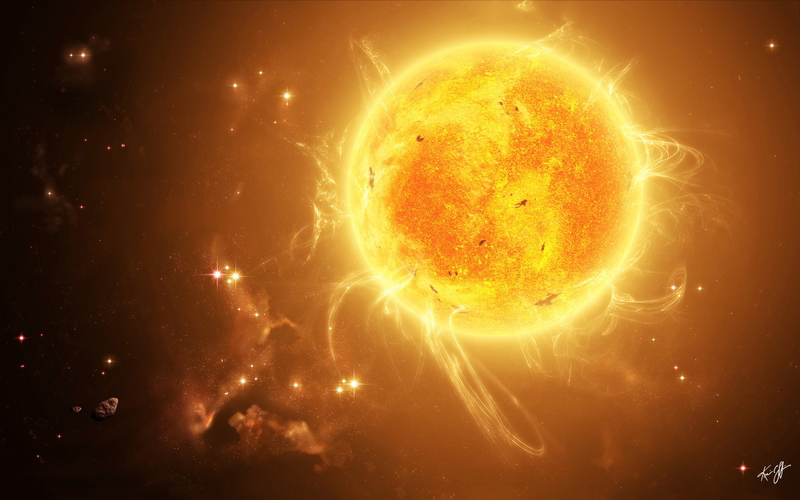 Also known as Sol, the Sun has been doing just that for many decades, as it has done from time immemorial. However, the time has now come for a necessary correction (read new composition), so that a mellifluous symphony might emerge to replace all the Heavy Metal stuff. The orchestra of the Solar System does need to get back to its core purpose (playing beautiful symphonies) for all parties concerned. When the other planets tune their instruments as they often do, they too pick up these disturbances on our blue orb. The ways and extent to which we influence our brother and sister planets is also reflected in this ongoing shift into a new way of being. Simply put, unless we approach those planets with respect and good will, the human race will not be allowed to go there (Mars, Jupiter, Saturn, etc.) anymore. There are reasons why so much crucial information regarding Solar System changes is never downloaded into the public domain, particularly about the highly consequential matters discussed herein. The relevant vital data, which would certainly corroborate the central thesis of this essay, seems to be too radioactive to put into the hands of those who might truly understand the looming existential threat to life on earth as we know it. The Sun is now going through an unprecedented, profound and fundamental transformation which reflects the ongoing metamorphosis of humanity. It is also triggering many of the changes that are occurring all over Planet Earth, which is why the scientists are so beside themselves. They know they have no control over it; unless of course they completely throw out their current astrophysics paradigm. For those who still doubt the inexorable transformation of the entire solar system, please read this “Hyperdimensional Report” which delineates some of the major planetary changes going on elsewhere in the solar system that were observed back in 2004. Bear in mind, however, that an unavoidable question, which the original complete report does bring to light, is whether our Sun is acting alone to bring about such dramatic change so quickly. Speculation about several observed astronomical anomalies has given rise to the notion of a “hyperdimensional heavenly body”, which may be acting in concert with the Sun to effectuate these obvious and monumental changes. Going back to our original work, it has always been clear to us that the Galactic Core of the Milky Way Galaxy has an unseen yet powerful influence on our Sun, and therefore on all the stars, planets and other luminaries. All one has to do these days is look up at the night sky and see the brightness of Jupiter, Mars, or Venus, whether it appears as the morning or evening star. None of the luminaries have ever burned so brightly according to many stargazers and skywatchers, astronomers and astrologers. So, we know that something HUGE is happening. It’s really just a matter of when and how the twilight of the Kali Yuga will manifest. Because all the evidence – both anecdotal and historical – clearly reflects that we are at the end of Kali Yuga, the completion of the Mayan Long Count Calendar, and the close of the Iron Age. In the meantime, we stand by our assertion that the month or year of the most earth-shattering changes cannot be known for certain. 2012, 2013 or 2017 may prove to be the year of the greatest worldwide upheaval, as could 2023. In the end, it will “come like a thief in the night.” Therefore, the best that we can do is be prepared, whatever that means for each of us in heart and mind, body and soul. We sincerely hope that the world community will come to see this truly profound relationship between Sun and Earth, and respond accordingly. After all, the collective consciousness of all souls currently incarnate on this plane of existence can re-form the future at any given moment. All that’s needed is a critical mass of like-minded and heart-centered individuals who feel and experience their interconnectedness with each other, their home planet, the solar system, and beyond. will revolutionize your understanding about how the solar system really works. 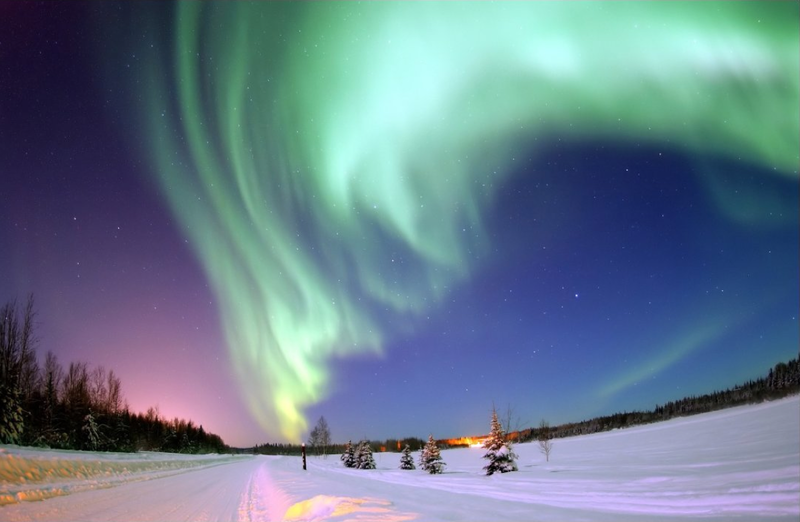 The Northern Lights, also known as the Aurora Borealis, have traveled quite unusually south during it last few showings around the world. According to those who have been skywatchers for several decades, no one ever remembers this cosmic light show appearing in locations of such southern latitudes. The “lights” appeared as far south as Alabama and California and were viewed across half of the USA as indicated in the preceding article. Solar Cycle 24 has already proven to be markedly different from the previous 23. Breaking the rules (and many records) already, extremely dramatic and highly unpredictable, the current Solar Maximum cycle will surely set things up on planet Earth in such a way that only the subsequent earth changes will tell the real story. NASA space station video shows Aurora Borealis over the U.S.
24 Responses to How is the SUN triggering many earth changes, especially global climate change? Pingback: Upcoming Solar Maximum Ramps Up Earth Cataclysms:It is a fearful sight to see the Display of His Power with the forces of nature bowing and submitting to His Will. – This weblog is for sounding DIVINE TRUTH in the ears of the dead!